The most versatile work trailer anywhere! Hauls up to 2,000 lbs and is equipped with a Boom-Lift to lift loads up to 440 lbs. 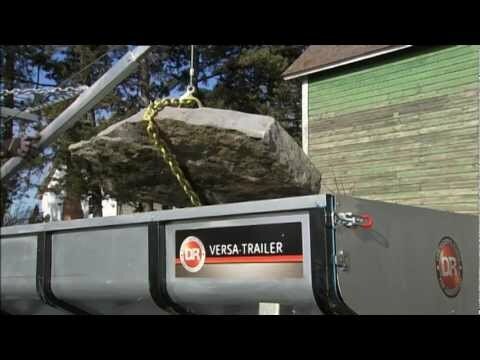 Use with your ATV,UTV or garden tractor to take the work out of lifting, dumping, and hauling. The pivoting hitch allows your towing vehicle and the trailer to ride independently over rough terrain without putting torque on the tongue or hitch. Tire valves are protected from rocks, roots and stumps, so you can take the trailer into woodlots, on trails, or through meadows without worry.